Grade A - Working phone in as new/mint condition. Complete with original box and accessories as sold new. Grade B - Working phone in good condition with slight cosmetic blemishes. Charger supplied. If the phone includes a music player/radio then it is supplied with headphones. If the phone has PDA functionality a sync cable and/or docking cradle is supplied. Missing original packaging. Grade C - Working phone in poor cosmetic condition. Original or 3rd party charger supplied but missing accessories and original packaging. Now i want to trade in a w300 phone which is in excellent condition as i bought it two years ago, used it a couple of times and forgot about it when i got a contract. Now i have all the original accessories apart from the earphones. But in their place i could put mini speakers that i got with another SE phone. Would that be accepted or would i need the earphones to get a grade A or B. Also how are they about box conditions, as my box has a corner which has been scribbled on by a baby and the box has no compartments. I tried ringing today to speak to someone in my nearest store, but they told me they couldnt respond over the phone and that i would need to take it in store. How do I sell to CeX? How much will I get for selling my items to CeX? A Mint - Product in mint/new condition with original box and all original accessories. C Working - Product in poor condition and fully working with all essential accessories. No box required. F Non-working - (Applicable for Phones and iPads only). Product must be intact and not crushed, bent, or snapped. Passes IMEI check, No accessories required. All Apple products must have the iCloud account deactivated. Non-working examples: Dead, cracked, water damage, broken/bleeding LCD (screen), not powering up, speaker/mic faults, broken aerial, etc. Boxed - Good to Mint Condition. All essential accessories. Original, first party controller of matching colour. Official box with all inserts to ensure safe transit. Discounted - Any condition but must be fully working. Chips, dents and scratches acceptable providing function is not impeded. All essential accessories, any controller. Box not required. An Exchange Membership allows you to trade-in your items (excluding mobile phones and electronic items). You do not need to take in any ID for this, just your name and postcode will do. You will also not be able to sell for cash with and Exchange Membership, but you can get CeX vouchers for your trade-ins. How long does it take to get my item(s) graded in store? When you take your item in to CeX the store assistants will tell you how long it will take to get it tested and graded. It will depend on how busy the store is as to how long this will take. After the item has been graded, CeX will then offer you a price for your goods, if you don’t wish to accept this price then you will have your items returned. How does CeX determine the price they have offered me for my item(s)? The prices that CeX set are based on many factors including market trends and economic factors and they regularly change to reflect these. How will I get paid for my items? In store, you can be paid for selling your items in cash, by CeX vouchers or by bank transfer. The bank transfer will usually be paid into your within one working day. CeX online operates through webuy.com. In order to buy and sell on webuy.com you need to create an account. You can do this by clicking the Sign Up option at the top of the home page. A webuy.com membership is not the same as a store membership and is not transferable between the two. How do I send my items to Cex online? They will provide you with a shipping label that you print and attach to your packaged item, then take it to the delivery collection point you have chosen. It is up to you to ensure that your item is suitably packaged for delivery. Will my items be insured when I send them? They are insured up to a maximum of £100, if your item is worth more then you will need to pay for a different service, such as Royal Mail Special Delivery, to ensure they are correctly insured. How long do I have to send my items once I’ve placed my order? You have 10 days to send your items to Cex, after this time they may cancel your order and you’ll have to start a new one. How long will it take for CeX to grade my items once I’ve sent them? Cex state that they will endeavour to test your items as soon as they receive them and payments should be made within one week. How will I receive payment for my item? What happens if CeX do not want the items I have sent? You can choose to have your items returned to you for free, or let CeX recycle them for you. Are there any alternatives to CeX? Yes, there are many other places you can your sell games, dvds and electrical goods. Places such as Cash Generator and Cash Converters. Also, gaming stores such as GAME. Plus individual selling sites, the most popular being eBay. 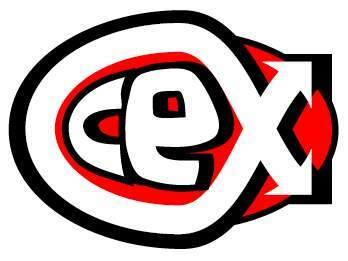 Check out all the latest deals at CeX here. thanks for the reply. as there is quite a difference between the value between a grade a and b (well for me anyway). And im also hoping they will accept as unlocked as it is still branded with Tesco mobile. I just wanna get as much cash as i can. Cant believe i forgot i even had it, i could have made much more selling it back then. Anyway thnx for the response. rep given for taking the time. If I were you, find a pair of any old headphones that fit, wrap them up nicely and put in the box. Clean up the phone so it's looking it's best and on a good day (depending who serves you) i'm sure you will get an "A" grade as you have the box and all accessories. The only time this will drop a grade is if there are marks /dents/scratches on any part of the phone.They are quite picky about the cosmetic condition. it would be a grade B, get some earphones. thanks for all responses rep given. I think i may buy some cheap earphones in town b4 i go into the store. or i may resort to nicking my sisters if i have the nergy to go through all the junk in her room. i want to sell them a phone..
...wat cato does it fall in 2? i read on another thread (cant remember if it was HUKD or another) and basically everyone on there said that when they had taken in their phones (even with branding), if they said it was unlocked they would get the price of an unlocked phone. cat 1. But i have had little experience with them, that was just what i read. if i have time i will try and find link. i want to sell them a phone..its virgin firmware but unlocked...wat cato … i want to sell them a phone..its virgin firmware but unlocked...wat cato does it fall in 2? It should be Grade B. A is new condition with all accesories. B should even include headphones. I wouldn't be suprised if they tried to fobb you off with C.
i think i was being very unrealistic in hoping for and A. Like i said the phone is virtually brand new and has not been touched, all accessories are there excluding the earphones. But if i can buy them for a couple of quid at a phone stall in town then the only thing they can not give me a Grade A for, is because of the box. It has a small tear and some squiggly lines in a back marker taking up around 3x3 cm of the box. I think i may just take it in, see what they offer and then if i dont think its fair ill just keep hold of it and try an sell it elsewhere. i think i was being very unrealistic in hoping for and A. Like i said the … i think i was being very unrealistic in hoping for and A. Like i said the phone is virtually brand new and has not been touched, all accessories are there excluding the earphones. But if i can buy them for a couple of quid at a phone stall in town then the only thing they can not give me a Grade A for, is because of the box. It has a small tear and some squiggly lines in a back marker taking up around 3x3 cm of the box.I think i may just take it in, see what they offer and then if i dont think its fair ill just keep hold of it and try an sell it elsewhere. I bought an iPod touch before from there. Grade C - Came with everything except headphones - Boxed, brand new condition bar 1 or 2 scratches on the back. it's stupid really. trust me cex is the best place. The recycling places offer arround £7, with some offering £3, but CEX will give around £22 - 32, depending on condition. so took it in today and was told that the condition of the phone alone (not including accessories) was a Grade C, which is a load of rubbish as there were no scratches or marks and looked brand new. I was offered £24 for the phone and the accessories, which in the end i took as i needed the money. so took it in today and was told that the condition of the phone alone … so took it in today and was told that the condition of the phone alone (not including accessories) was a Grade C, which is a load of rubbish as there were no scratches or marks and looked brand new.I was offered £24 for the phone and the accessories, which in the end i took as i needed the money. Told you, the phone can be BRAND new condition. but because you dont have the headphones etc. Hi all. After my experience of selling to CEX never again. Sold a 32" tv no box, got £50. It was a desperate sale I did not really want to do. It was resold for £195. £145 mark up price. I will buy from them second had discontinued stock if it is a good deal. I never buy stuff still available new in the shops or online. As their prices are OTT. Their grading system is some what different between reselling and buying. A grade new/mint boxed all the accessories. Unfortunately nothing will ever be sold mint as their policy states all items must be removed from the box for testing. And now they will take A grade without the box. Definitely a no no for me. B grade minimal scratches/cosmetic wear. No box, some or even no accessories. C grade no box or accessories well used. This is not always the case. I saw an iPad 2nd Gen no screen protector more scratches than an ice rink. Selling as a B grade. I would have definetley said C grade. InfactcI would have not taken it as it needed the glass replacing completely. I bet the seller did not get a B grade price. I've even seen itemsthatvthey would by as B and C grade then sold as B and A grade. That should not be allowed. C grade some C grade items I wouldn't even touch with a barge pole. Seen better condition in a recycling bin. Especially when it comes to mobile phones. I have only ever witnessed one seller. iPod touch imaculate A grade was offered. Then he said it did not have the original charger. Bang, immediately he was dropped to a C grade in the blink of an eye. Bet it was not sold at the C grade price. And usually what is bought in store is usually shipped to other stores for sale. With this knowledge I would never buy from their online site and I've bern told my knowledge is to tech savvy for a job in their store. I have sold to CeX, BUT advise against sending anything off in the post as there are pages and pages of complaints from people who have posted stuff and not received either the money or return of the product. Baseo is a much better operation and sale prices are better. I sold my mint condition iPhone 4 to them after the jokers at CeX offered me a really low price. Okay i want to know what people experience are of selling phones to … Okay i want to know what people experience are of selling phones to cex and getting them graded. I got the following info off their site:Grade A - Working phone in as new/mint condition. Complete with original box and accessories as sold new.Grade B - Working phone in good condition with slight cosmetic blemishes. Charger supplied. If the phone includes a music player/radio then it is supplied with headphones. If the phone has PDA functionality a sync cable and/or docking cradle is supplied. Missing original packaging.Grade C - Working phone in poor cosmetic condition. Original or 3rd party charger supplied but missing accessories and original packaging.Now i want to trade in a w300 phone which is in excellent condition as i bought it two years ago, used it a couple of times and forgot about it when i got a contract. Now i have all the original accessories apart from the earphones. But in their place i could put mini speakers that i got with another SE phone. Would that be accepted or would i need the earphones to get a grade A or B.Also how are they about box conditions, as my box has a corner which has been scribbled on by a baby and the box has no compartments.I tried ringing today to speak to someone in my nearest store, but they told me they couldnt respond over the phone and that i would need to take it in store. Common. I sold my phone which wouldn't even open properly. But had the accesorize (bought with $1 each from Poundland. And I got more than I was expecting. I made sure I charged and reformated the phone before they did so it saves time and it moves faster anyway. I always sell stuff to them and the team is just amazing.